coffee and put it between her knees while she was driving. Who would ever think one could get burned doing that, right? you scratch your head. So keep your head scratcher handy. Here are the Stella's for 2015 !!!! considering the running toddler was her own. for his anguish. We should all have this kind of anguish. though the beagle was on a chain in its owner's fenced yard. and repeatedly shot the dog with a pellet gun. the floor, knocking out her two front teeth. Even though Ms.
her $12,000...oh, yeah, plus dental expenses. * FIRST PLACE * ~ absolutely brilliant! in case Mrs. Grazinski has any relatives who might also buy a motor home. I dont twitter, facebook, snapchat, instagram,linkedin,tumble,pinterest,flick, blah blah,lets have an old fashioned conversation! Yup. That'll mostly be cuz it's made up BS. Go careful bud..... you'll get splinters. I want to make it clear that I am an Eedjit. I have no direct, or indirect, knowledge of business, the music industry, forum threads or the meaning of life. I know about amps. Well, there is no accounting for how juries interpret the law, but in general they are asked to determine an issue of negligence, without really knowing what the term means to the lawyers. That difficult decision is made more so by the fact that in most cases there can be more than one person or entity who is negligent, so that the owner of the beagle might be found 1% negligent by not having a required or expected warning sign "beware of Beagle" for example or of failing to train his dog never to bite regardless of provocation, and the dog tormentor 99% liable. In the best case this might reduce the total damage award based on a fractional apportionment of the total damage (assessed as a separate issue from the question of who is at fault) to nearly nothing. In many cases, joint and several liability and similar doctrines require that even if only a tiny fraction of liability falls on one defendant, he is responsible for paying the entire amount of damages. In some jurisdictions a dog bite is by statute the legal responsibility of the owner, regardless of what precautions they may take to prevent the bite from occurring, so showing that the defendant owned the dog proves liability. If you want common sense justice, stay out of court. As to the McDonald's coffee spill, the facts are frequently mis-stated as they are here. The victim was not driving, the car was not in motion, but the coffee was dangerously hot, and McDonald's had been presented with numerous cases of similar injury, and had due warning that the company's requirement that coffee be served at a known dangerous temperature put customers at risk. It was only after the success of the suit that a safer temperature was adopted. Often these unjust decision horror stories misstate the facts and the law as well. 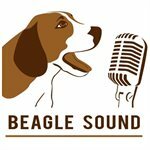 So, what I'm getting from all this, is that the Cakewalk forums need a "Beware of Beagle!" warning sign, ya? Dang, craigb (ITHRN) beats me to it EVERY time. So I'm sure you looked up all these on Snopes before posting...right? Why mess up a good post? If you want common sense justice, stay out of court. Not just in the courtroom, common sense is severely lacking in the majority of people today.........the court system is there just to confirm it. Duh. especially if you shoot me with a pellet gun. I'm gonna bite SOMETHING! I've also learned that Fort Worth is to becan as Fort Knox is to gold. A few years ago a guy that worked for me twisted his ankle. He managed to get it stuck in a tiny gap between the edge of a walk-board and a safety barrier. He applied for compensation from our insurance company who declined to pay. He then sued us for damages in court using a no win - no fee lawyer, and won. Our insurance had to pay up after all. The court ruled that our company had been negligent in allowing the accident to occur because the Safety Officer should have made sure it would not be possible for anyone to be injured by the walk-board. So who says SNOPES is all that correct? The author does have a book/blog on REAL travesties of justice, however..
Or he just mined SNOPES for "material cases". BTW where are the other 2008 awards? They're yet to happen. Bubba says they're really funny and worth waiting for though. Who do I sue for making me fritter away an hour a day on this forum? I coulda been a contender! I coulda been somebody! only an hour???? pfftt! bapu has about an hour OFF the forum per day!